When asked what I can't live without, I instantly thought of the ocean. Aside from things that need not be mentioned... like my husband, my family, my dog, my arms-legs-every-body-part, etc... I cannot live a full life without the ocean. When I was little, my brother and I would walk to school. School is about a half-mile from the house. We lived closer to the mountain. The main street leading to the highway goes from the mountain to the ocean. I never really appreciated that initial view of the ocean when I was little but I certainly do now. The significance of its presence increases as I age. As a child, the view of the ocean, the sound of the ocean, the power of the ocean were static images and white noise to fill my senses. I realize that the sights and sounds have become the soundtrack of my life as the white noise and the static images that is/are always there/here; ever present; a constant image and a constant sound of my childhood, of my teenage-hood, of my adulthood. 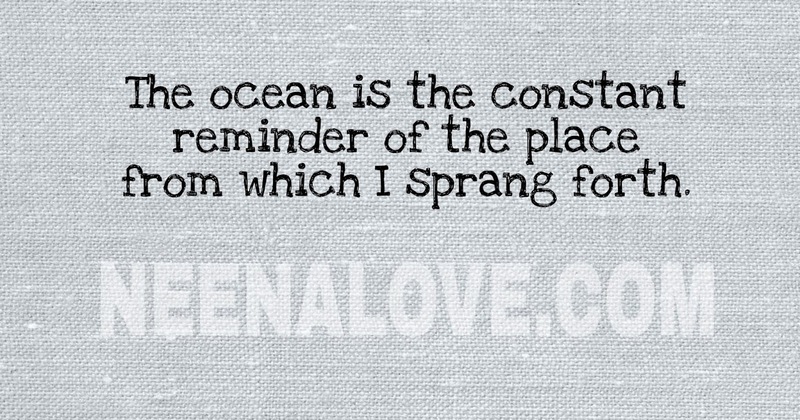 The ocean is the ever constant reminder of the place from which I sprang forth. On many occasions I have been called to distant lands. From the desert landscapes of New Mexico to the flat, tornado-strewn lands of Kansas, the world has called me but I have always returned to the great wide expanse of the Pacific Ocean. I feel so trapped without sight of the ocean. I lose all my bearings, unable to recalibrate my emotional well-being without the watery horizon to center me. It is the white-noise in my world that holds my hand in difficult times and in times of happiness. I think of the watery horizon when driving through miles of corn fields or miles of tumbleweed and long to see the sun rise from its depths in the morning and drop back into the ocean in the evening. It has been that way in the time of my ancestors and so shall it be after I leave this body behind. I find comfort in the fact that the ocean isolates me/us from the rest of the world. If you can cross it you will find me along its shores or upon its surface, floating toward FOREVER. 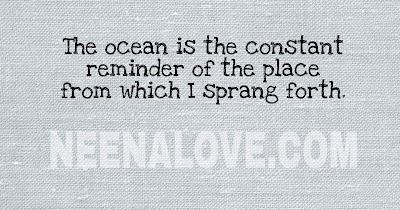 The ocean will always beckon to me and call me to its shores. 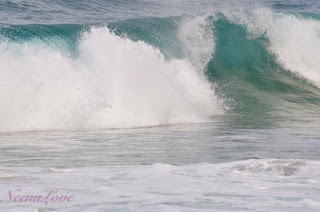 In fantasy I can drift for eternity on the ocean, alone, just me and the sounds of the ocean. My ears will be submerged beneath the surface and my face will be exposed to the sun and the oxygen in the atmosphere. I float along in a dream-like trance FOREVER. The fluid envelops me, warms me, and places its giant hugs around me while I rock along with the sway of the tides. 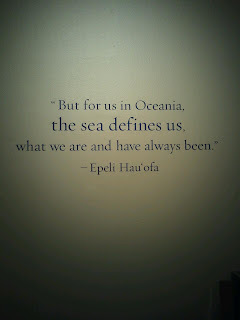 I heart the Ocean and literally have withdrawals, even though its a few steps away, if i dont visit often. 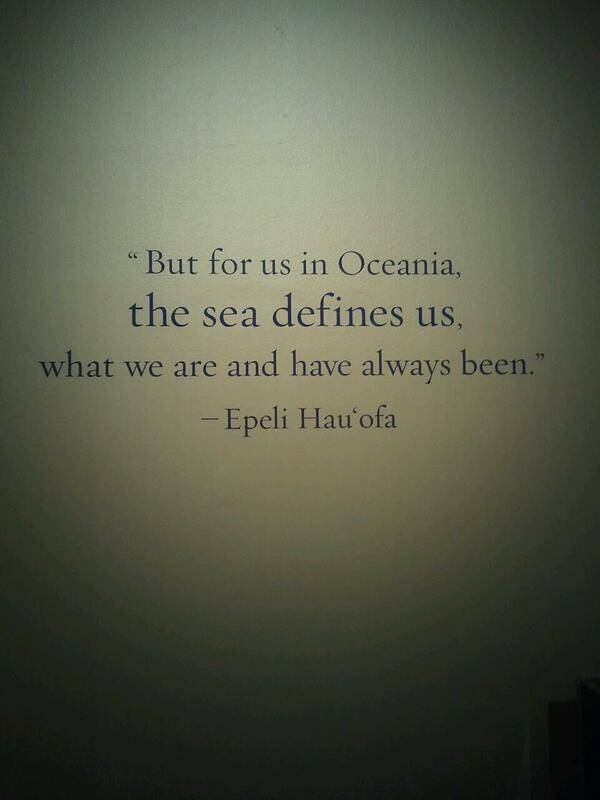 I also love Epeli Hau'ofa! Thanks for reminding me of him... It's been too long! The Ocean as it were, calls to more than the Sailor. It calls to the purest as well.